This brochure presents a condensed chapter from the following comprehensive research on ecclesiastical textiles in the Ravenna mosaics. The study deals with different images of textiles present in various plots of the mosaics of Ravenna from the Byzantine period and considered a decorative component. These fabrics are approached as iconographic symbols, and the oft-repeated occurrence of those symbols attests to their intelligibility and actuality for the people of that epoch. 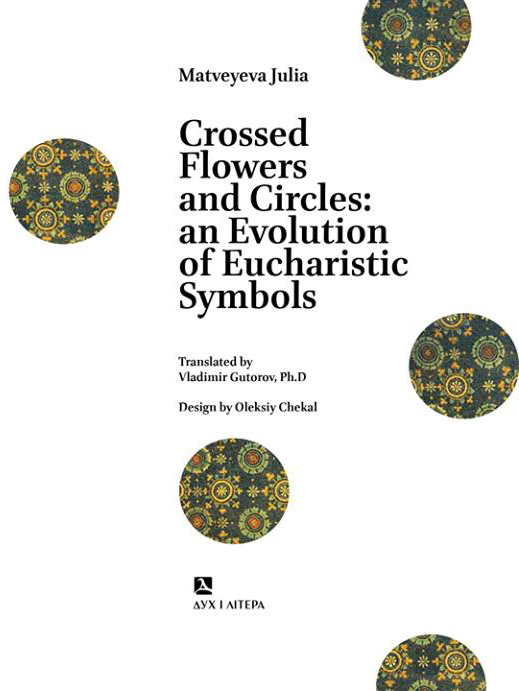 The author employs factors stipulating the need for different textile items in the ecclesiastical and secular everyday life of late antiquity to determine the semantic meaning of the images. The value of the study lies in unveiling a set of facts proving the fabrics in the mosaics of Ravenna create a precise and rich context of plots and govern their interrelationships. The analysis of the context based on an understanding of the semantics of textile items through the culture, symbolism, outlook and ecclesiastical tradition of the late antiquity opens new facets of the iconographic program in the well-known mosaics of Ravenna. Julia Matveyeva (PhD in History of Arts) works at Kharkiv State Academy of Design and Arts. She has been studying ecclesiastic textile for some 20 years with a unique approach of combining her practical knowledge on the creation on liturgical fabrics and theoretical studies of ancient monuments. Julia Matveyeva defended her PhD thesis Evolution of Byzantine Tradition in Iconography of Liturgical Embroidery of Late Middle Ages in 2008. For the last 10 years, Julia Matveyeva has focused her scientific interests on the emergence and development of liturgical fabrics and their iconographies in the Early Byzantine period. An author of more than 50 papers dealing mostly with liturgical fabrics, she is an active participant.